The other day I turned my television on, and I was greeted with an error message instead of my favorite soccer game. My TV service provider had a mobile app, so I launched the app and after a few minutes, I managed to find their customer service number. I dialed the number and waited for another few minutes for my turn. When my turn finally came, I explained my problem to the customer care representative who figured out that I had to pay my bill. I again went back to my mobile app, navigated to bill payment screen and filled out a payment form so that my television set could serve my favorite shows again. Though it only took around half an hour, it made me think – Wouldn’t the whole experience been more fulfilling and faster if I could talk to the app itself about my problem instead of being diverted to the customer service rep and back? The app could have told me to pay the bill right from that conversation! I bet I might not be the only user thinking this. Technology is one essential part of modern lifestyle. These days, we use mobile apps and computers for anything and everything. As technology evolved, apps are becoming smarter every day, leveraging fresh ways to interact with users. The latest technology occupying every technology leader’s mind is natural language processing and Artificial Intelligence! Wouldn’t it be amazing if machines speak and understand the same language as we do? Well, now they do! It all started when computers were invented, and more people started using it to aid day to day activity. We have developed various languages to communicate with each other. But when it comes to machines, they understand totally different languages. Computers started using keyboards to provide commands, the mouse added another way to interact with the machine in early 1970s. Interaction matured over years, with computers becoming smaller and eventually we started using mobile devices. Mobile devices opened a whole new horizon in terms of what we could achieve with technology. Mobiles made life much easier with lots of apps helping us perform various day today activities. Mobile devices brought yet another way to interact with machines to life, touch. Touch screens are a common means of interacting with various apps on a mobile device. But, all these interactions are still structured, until now. With processing chips becoming smaller and more powerful, we have discovered powerful machine learning capabilities. This enables a user to “chat” with app in natural language, with app identifying what user intents to do and acting on it accordingly. And this can quickly become easiest and most convenient way to interact with apps for most users. Development cost and time to market of course! Industries entered world of Internet and started using technology for their business decades ago. This includes every industry like banking, insurance, e-commerce and more. They started building IT teams to manage their online business with strong web technology skill-sets. When technology changed, market got a new boom of mobile apps, industries appointed new IT teams with mobile specific skill-set. 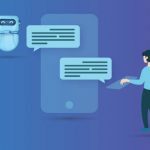 With whole new world of AI and chatbots becoming the latest trend, industries are again facing challenge of hunting talent with skill-set specific to chatbots and rewriting business processes & functions all over again. This introduced one more challenge of maintaining and synchronizing business processes across different channels. 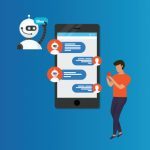 Often developing content serving chatbots is comparatively less complex and time consuming, but these sort of chatbots at the same time failed to create the “wow” factor. We, Streebo Labs, have been working with multi-channel apps for more than a decade now. With experience and expertise gained over the years, we have built a platform, Streebo Digital Experience Accelerator (DXA), powered by IBM DXM and Watson. 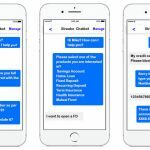 Streebo DXA reduces complexities involved with building a transactional chatbot! 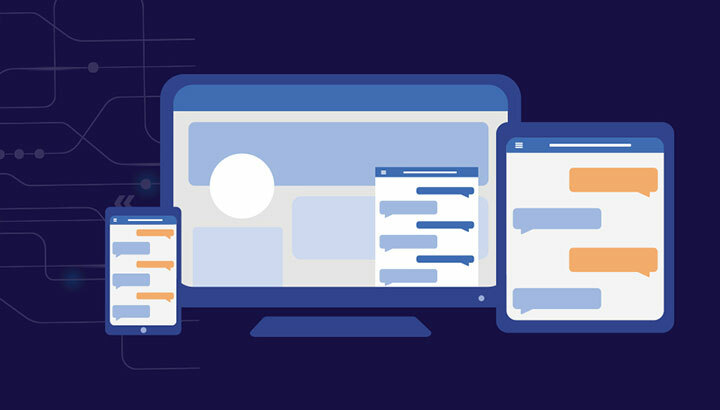 Using this platform, IT or Business users can now build multichannel applications with drag and drop tool, which can then be extended to a chatbot with just a click of a button. What’s more, IT can also manage these assets and apps with just point and click and drag and drop interface. So what are you waiting for? Send us a note or call us to see a tailored app for you in action!